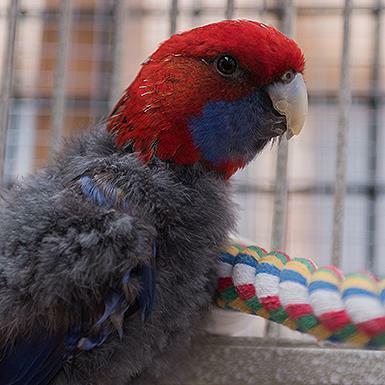 Lois is a middle-aged adult Crimson Rosella who came to us from a major hoarding situation. Lois has some special needs; she is a little feather challenged and is very shy. She is bonded to Superman, and the two must be adopted together, preferably in a home where they have the room to be birds.